I noticed it is now a bit hard to get through Malindo call center. Recently while at KLIA, I enquired via their counter what is the procedure if I wish to accompany someone who is travelling using wheelchair. When you wish to bring along a person who required wheelchair service, you may book your ticket as per normal but do tick at the “required wheelchair service” during booking to alert the airline that there is someone travelling who require the service. However, for the actual wheelchair service, it is to be purchase on the day of the flight when you arrive at the airport. Please come earlier to make the necessary arrangement. Additional charges would be applicable (the staff was not sure how much but likely below RM100). Booking of the service may be done at the counter. According to the staff, if someone is accompanying the passenger, the person may come to purchase the wheelchair service, the staff can then go to the parking to wheel the passenger to the check-in. 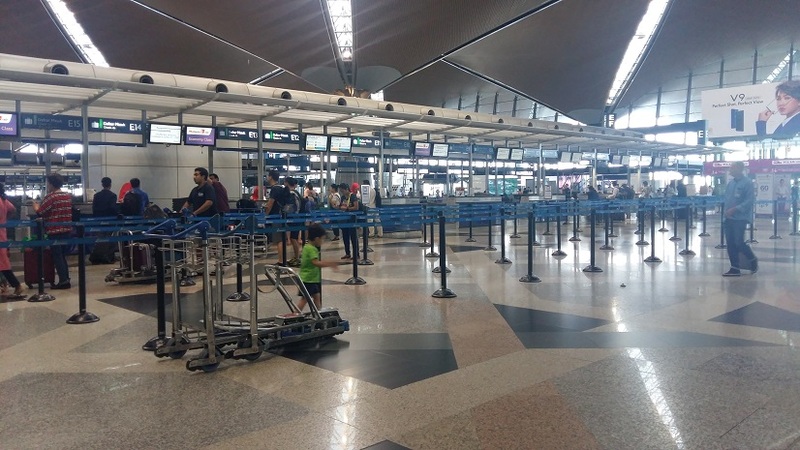 I have asked the counter 19 at row E of Malindo check in counter which I was told was the control counter… on what happened if they ran out of wheelchair service? I was assured by their staff that so far they have not run out of wheelchairs. I also checked if we are allowed to use our own wheelchair as well as take along a walker. I was told the customer may use his/her own wheelchair to go up to the plane but they still need to take a look at the wheelchair first. Once the customer is ferried towards the cabin, the wheelchair would then be packed and placed in the cargo of the flight. A walker is also allowed to be brought but would likely need to be packed as well…. so far I have not seen any passenger using walker in the airline cabin. In the event the wheelchair does not meet the requirements, the wheelchair would need to be checked in as a check-in baggage and the passenger would need to use the wheelchair provided by the airline. Hence, the passenger need to ensure that the total luggage, including the wheelchair does not exceed the allowable baggage of 25kg (for economy class). They also mentioned that they would on best effort basis try to place the less able passenger towards the front seats (meaning if economy then it would be the first few rows of the economy seats). I am not sure of the process for other airlines…. ie if they are the same. Different airlines would have different practices hence it is best to check with your respective airline on the process if wheelchair service is required.